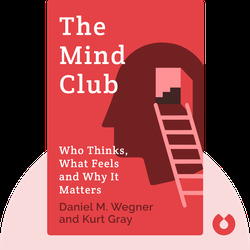 The Mind Club (2016) is all about how we perceive beings as having a mind or not, and how this determination affects our moral judgments. These blinks explain what constitutes a mind as well as how and why we perceive minds the way we do. 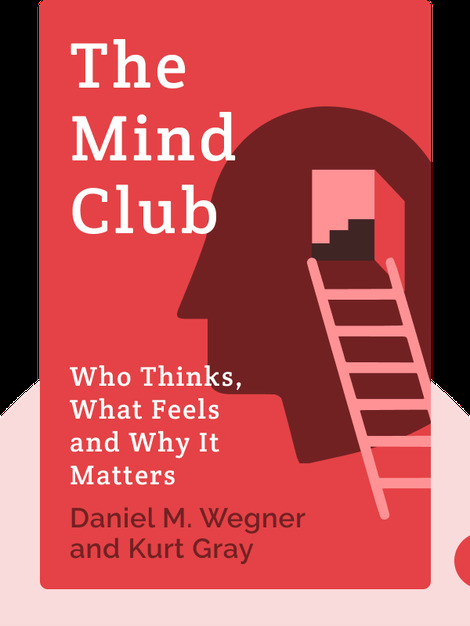 Daniel M. Wegner was an eminent psychologist, author of The Illusion of Conscious Will and recipient of, among many other awards, the 2011 Distinguished Scientific Contribution Award from the American Psychological Association. Kurt Gray is a psychologist and a former student of Wegner’s. He has written various essays and op-eds, including “The Myth of the Harmless Wrong” for The New York Times.